Vuk Jeremić is the President of the Center for International Relations and Sustainable Development (CIRSD), a global public policy think-tank based in Belgrade, and Editor-in-Chief of the quarterly magazine Horizons – Journal of International Relations and Sustainable Development. He is also the leader of Serbia’s opposition People’s Party. In 2016, Mr. Jeremić participated in the official election for UN Secretary-General. After six rounds of voting in the UN Security Council, he finished the race in second place, behind Mr. Antonio Guterres. In June 2012, Mr. Jeremić was directly elected by the majority of world’s nations to be the President of the 67th session of the UN General Assembly, in the first contested vote since the end of the Cold War. During his term in office he played a leading role in steering the UN towards the establishment of the 2030 Agenda for Sustainable Development. Mr. Jeremić served as Serbia’s Minister of Foreign Affairs from 2007 to 2012. During his tenure, he paid official visits to over 100 countries, and addressed numerous international summits and conferences. In 2007, he chaired the Council of Europe’s Committee of Ministers. Mr. Jeremić has lectured at major universities, think-tanks, and institutes around the world, as well as publishing opinion pieces in leading outlets including New York Times, Washington Post, International Herald Tribune, Wall Street Journal, The Times, Financial Times, The National Interest, and Huffington Post. Prior to becoming Foreign Minister, Mr. Jeremić served as an advisor to the President of Serbia and various government ministries. Before entering public service, Mr. Jeremić worked in London for Deutsche Bank, Dresdner Kleinwort Benson, and AstraZeneca Pharmaceuticals. Mr. Jeremić holds a bachelor’s degree in Theoretical and Experimental Physics from Cambridge University and a master’s degree in Public Administration/International Development from Harvard University’s John F. Kennedy School of Government. Mr. Jeremić was named a Young Global Leader by the World Economic Forum in 2013, and appointed to the Leadership Council of the United Nations Sustainable Development Solutions Network (UN SDSN) in 2014. In December 2014, Mr. Jeremic co-founded the Silk Road Think Tank Network (SiLKS), together with Minister Li Wei, the President of the Development Research Center (DRC) of China’s State Council. 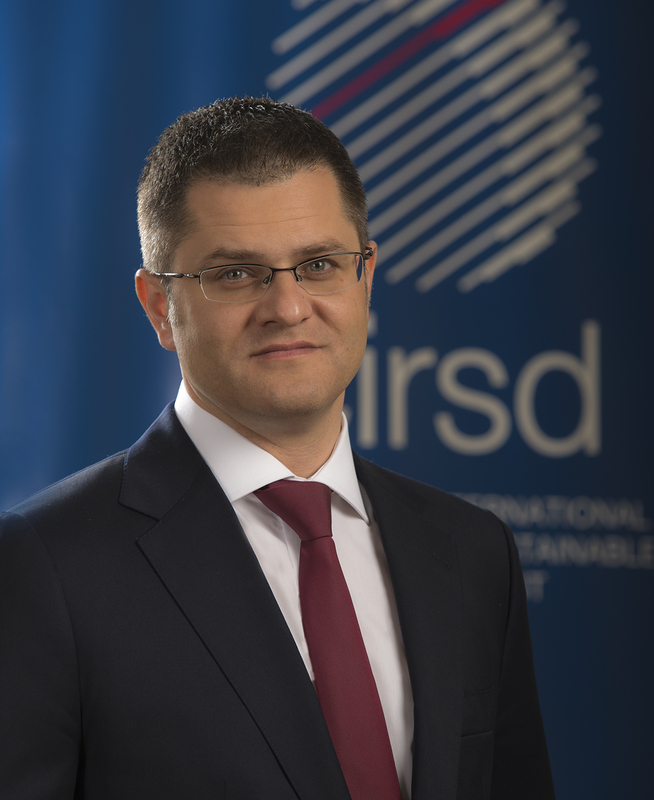 Mr. Jeremic was subsequently elected to the SiLKS Steering Committee, the executive arm of the global network, which is dedicated to the study of the Belt and Road Initiative (BRI) by harnessing the analytical and research resources of its nearly 60 members, partners, and observers. Mr. Jeremić served as the President of the Serbian Tennis Federation from 2011 to 2015.